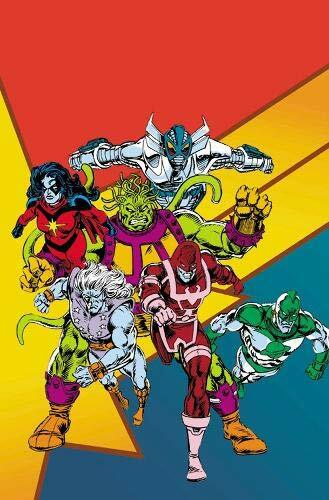 They're set to wow you in theaters, but who are the Kree warriors known as Starforce? 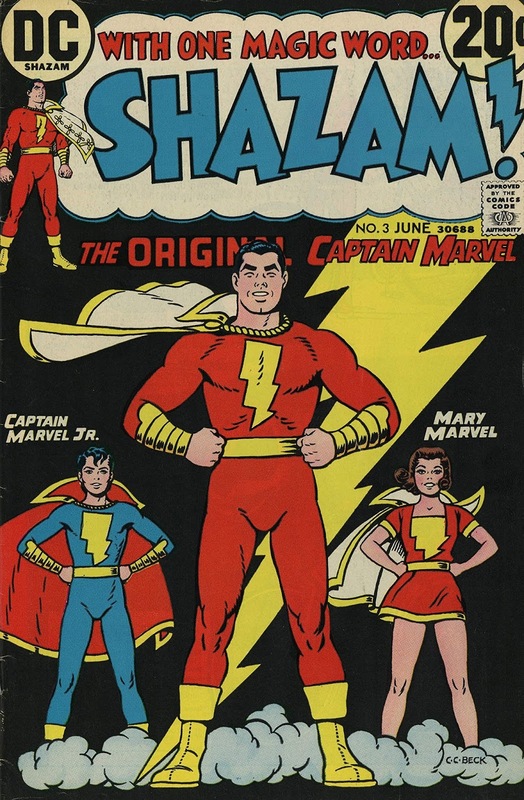 Get to know Captain Marvel and her space-faring allies with these classic adventures! Ronan the Accuser makes first contact between the Kree and the Earth - and may be judge, jury and executioner for the Fantastic Four! Kree Scientist Dr. Minerva targets Avengers sidekick Rick Jones for abduction! 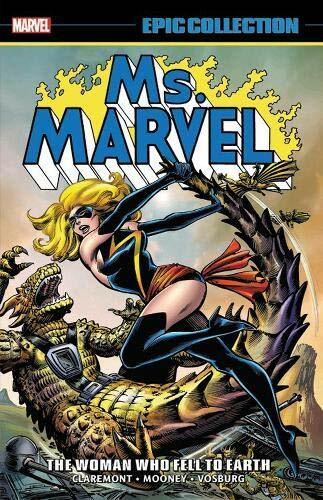 Carol Danvers takes on her fi rst costumed identity as Ms. Marvel! Captain Atlas confronts the cosmic protector Quasar, Korath the Pursuer clashes with Captain America - and the Starforce battles the Avengers! 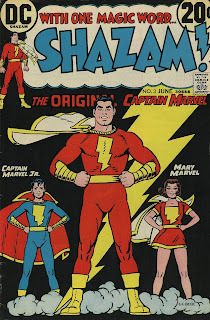 Finally, Carol and Cap face Bron Char of the Kree Lunatic Legion! Jack is back! 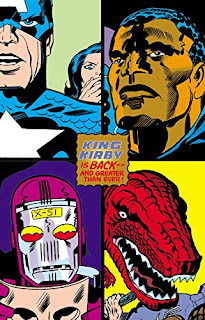 KIRBY RETURNS presents a selection of all-time classics from "King" Kirby's 1970s return to Marvel. With Kirby as both writer and artist, these stories are a live wire hooked into the imagination of comics' most powerful creative dynamo. CAPTAIN AMERICA battles the Red Skull and the bizarre Arnim Zola, the mad scientist who has reanimated Hitler's brain in the body of an unstoppable android! THE BLACK PANTHER faces the super-evolved creature from Hatch-22 in a generation-spanning Wakandan saga for the ages! MACHINE MAN is a weapon of war with a soul, a thinking computer in human form. He explores the world of man, but can he find acceptance before the army hunts him down? DEVIL DINOSAUR and Moon Boy fight savage battles against alien invaders to protect early humans from annihilation! The Hyborian Age meets the Marvel Age in this stunning gallery of classic Conan comic art! 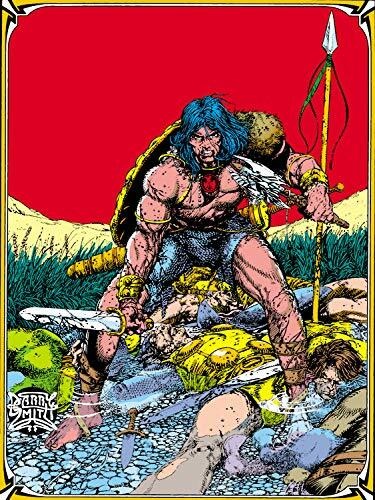 The Cimmerian warrior made his comics mark at Marvel, and would hack and slash his way through three decades of phenomenal full-color storytelling in Conan the Barbarian and its many sister comics. This hardcover highlights the very best covers, pages and pinups from legendary titles such as Conan the Barbarian, Giant-Size Conan, King Conan and more -- from the seminal masterworks of Barry Windsor-Smith, to stunning interpretations by Gil Kane and Neal Adams, to a character-defining legacy by John Buscema, to gorgeous latter-day illustrations by Silvestri, Kaluta, Mignola and more! As Conan makes his highly anticipated return to the House of Ideas in 2019, immerse yourself in the vibrant and vivid world of Conan the Barbarian, and experience sensational sword-and-sorcery sagas in the Mighty Marvel Manner! Before Steve Ditko revolutionized comic book super-heroes with the Amazing Spider-Man and Doctor Strange, he applied his incomparable storytelling mastery to taut suspense-thrillers. These chilling stories were cast with nervous-eyed dreamers and sweaty-palmed schemers, none of whom make it out with getting theirs. They were parables of wrenching psychological tension, expressed by one of comic book's most unique creative minds, and they will leave you curled up and screaming for more-whether you like it or not! Marvel is honored to collect Ditko's complete stories of suspense in two beautifully restored Omnibus volumes. From his very first Marvel work in 1956 through to his last five-page masterpiece, every iconic Silver Age Ditko short is collected in these incomparable Omnibus editions. 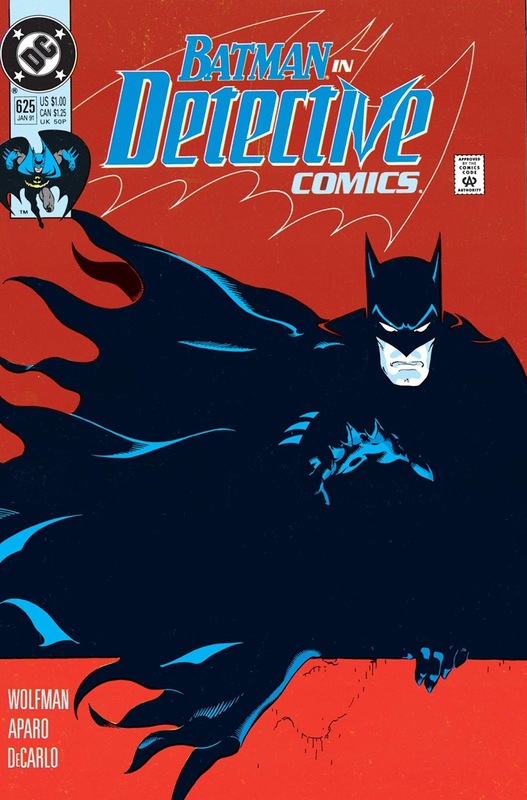 The stories starring Batman featuring the slick artwork of Michael Golden are collected for the first time, including appearances by the Demon and Man-Bat. 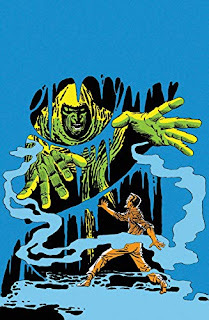 Golden is renowned for his design skills and unique interpretation of Batman and other heroes, as seen in these early stories, written by well-known comics writers including Dennis O'Neil, Gerry Conway and Mike W. Barr. Collects shis collects stories from Batman Family #15-20, Batman #295, #303, DC Special Series #15, Detective Comics #482, Batman Special #1, Batman: Gotham Knights #22. It also collects the covers from Detective Comics #625-626, 628-631, 633, 644-646, Batman #484-485, Showcase '93, Nightwing #66-77 & #129-130 and the Man-Bat entry from Who's Who in the DC Universe #12. First time in trade paperback! Alex Toth's magnum opus contains all three of The Genius's stories starring Jesse Bravo, knock-about pilot and reluctant swashbuckler. 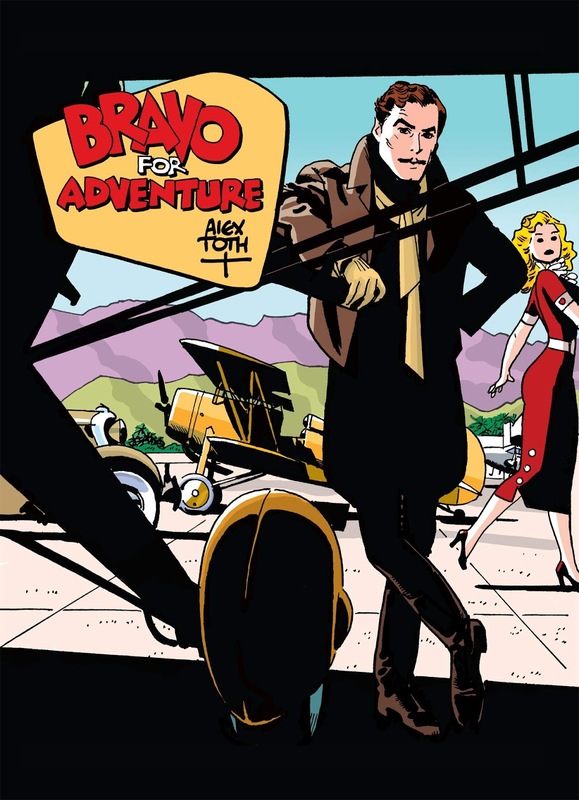 Also included are rare pencil roughs, preliminary drawings, and story fragments, as well as samples of Toth's own coloring for an edition that never saw print, and of the coloring for what was intended to be Bravo's original 1975 first printing in France! 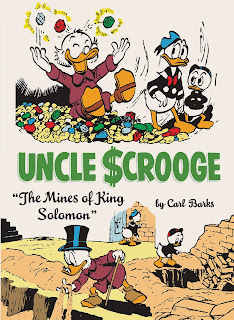 When Uncle Scrooge decides to take Donald and the nephews on a world tour to inspect the many businesses in his far-flung empire, he never dreamed he’d wind up uncovering the fabled lost treasure of the even-more fabled King Solomon! Then, to settle a bet over who’s the better salesman, Scrooge and Donald wind up in Southeast Asia - and Donald’s winning! Until Scrooge notices something unusual about the local architecture in "City of Golden Roofs." And the Beagle Boys come calling again with a devious scheme to drill Scrooge’s money right out from under him! Plus: the oddball inventions of the ever-eccentric Gyro Gearloose! 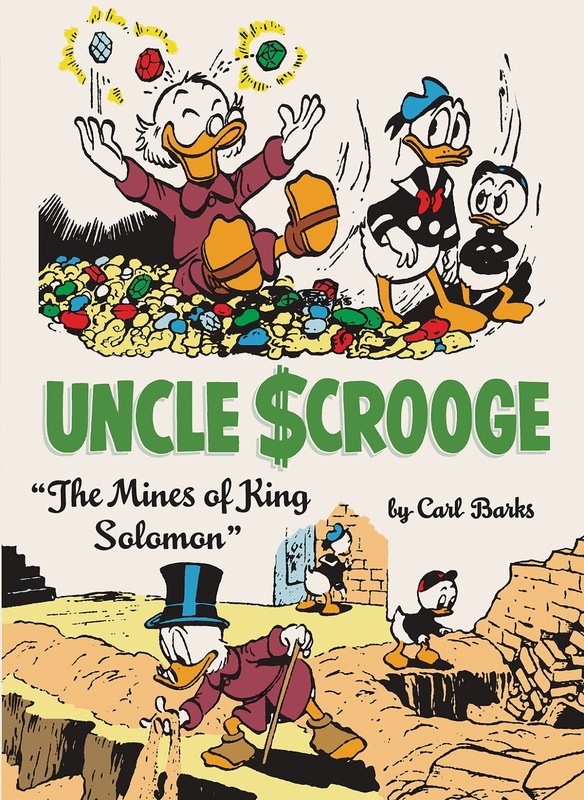 Carl Barks delivers another superb collection of clever plot twists, laugh-out-loud comedy, and all-around comic book brilliance. Full-color illustrations throughout.